Building off of Straubhaar, Spence, Tufecki, and Lentz's Inequity in the Technopolis: Race, Class, Gender, and the Digital Divide in Austin, TX (2013), a ten-year study of how social, cultural, and economic tensions in Austin have been buried under the city's highly lauded model of technology-led development, this chapter discusses three programs that attempt to promote different forms of media and technology training within the city. 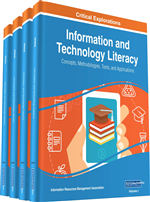 Adapting a definition of “digital literacy” theorized by Jenkins (2009) that emphasizes competency, capacity, and empowerment, we examine how these programs present disparate yet potentially compatible approaches for harnessing the transformational potential of information and communication technologies (ICTs) within underrepresented, marginalized, or at-risk populations. Since the mid-1980s, the city of Austin, TX, has received copious attention for providing the blueprint for what University of Texas business professor George Kozmetsky called “the technopolis model” of technology-based local economic development (Gibson & Butler, 2013). This model, whose name comes from a portmanteau of “technology” and “polis” [Greek for “city”], proposes a combination of aggressive public subsidization of technology research at the state and national levels, the creation of university-based business and technology incubators that provide seed money and training in business model generation for individuals involved in small start-ups, and coordination with municipal governments to provide tax breaks, small business loans, and other tools for incentivizing entrepreneurship (Hartenberger, Tufecki, & Davis, 2013). The logic behind these public-private partnerships argues that public support could help foster the growth of a large number of tech-focused start-ups that either already existed (e.g. Southwest Airlines; Dell Computers) or were in the inchoate stage. This technopolis model, centered on the University of Texas’ Innovation, Creativity and Capital Institute (IC2), would be exported to over 30 countries ranging from the usual suspects (e.g. Russia, South Korea, Japan) to unlikely areas like Israel, Kenya, Malta, Ghana, and Poland (Butler & Gibson, 2013). To give total credit for the success of the technopolis model to any one actor, from the University of Texas tech industry giants like Texas Instruments or Dell, would be to miss the unique conceptualization of the local in this model. For the architects of the technopolis, the glue holding together the various different actors was the hospitable climate for creative business development in the city of Austin. The famous/infamous urban studies theorist Richard Florida has labeled this element the “creativity index” of an area. Though an elusive and difficult to measure facet, Florida and collaborators have argued that an area’s creativity index can be linked to a tolerance for LGBTQ communities, a thriving arts, theater, and music scene, and a high degree of multicultural and multi-ethnic cultural events and cuisine (Florida, 2002; Lee, Florida, & Acs, 2004). The combination of these factors produces a location’s creativity index. Even though the technopolis model convincingly narrativizes the relationships between industry, university, and city as a symbiotic process, many critics argue that this story fails to address the class background of technopolis leaders who generally tend to come from higher socio-economic backgrounds (Markusen, 2006), the largely Caucasian ethnicity of most creative class workers, and related issues. Among the critiques of the techno-utopian predilections of Austin’s tech industry, Straubhaar et al.’s (2013) work offers the most sustained investigation of how the growth of a technopolis model in Austin explicitly and inadvertently reproduced patterns of economic and political disenfranchisement within the African-American, immigrant, and other communities. In the concluding section of that text, Straubhaar reflects on the difficulty of operationalizing information and communications technologies (ICTs) for promoting social and economic transformations within historically marginalized or underserved populations before finally arguing that the promotion of public access internet centers offers the most feasible strategy for overcoming the divisions implicit in the creative industries model (Straubhaar et al., 2013, p. 282).